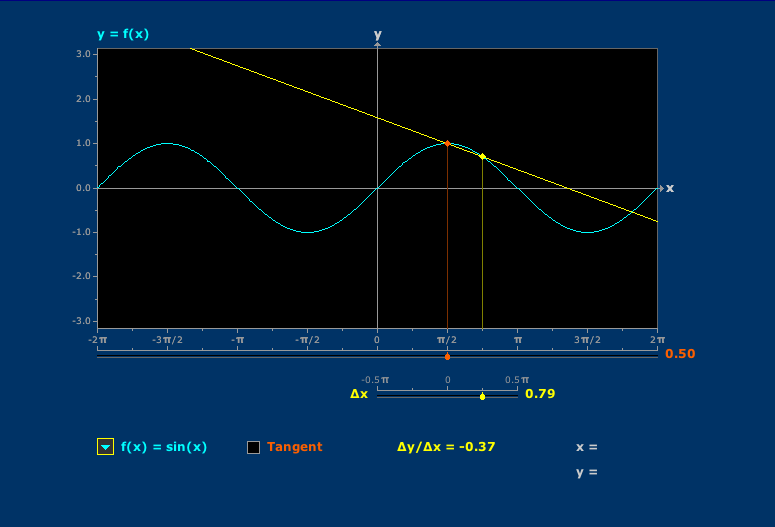 Secants converge to tangent lines. My only source to the web is through my android 2.2.2 phone. I am having difficulties running the mathlets. Do you have suggestion as to how I might be able to use the mathlets. We try to populate the menus with the most pedagogically useful examples. Would |x| be useful to you?